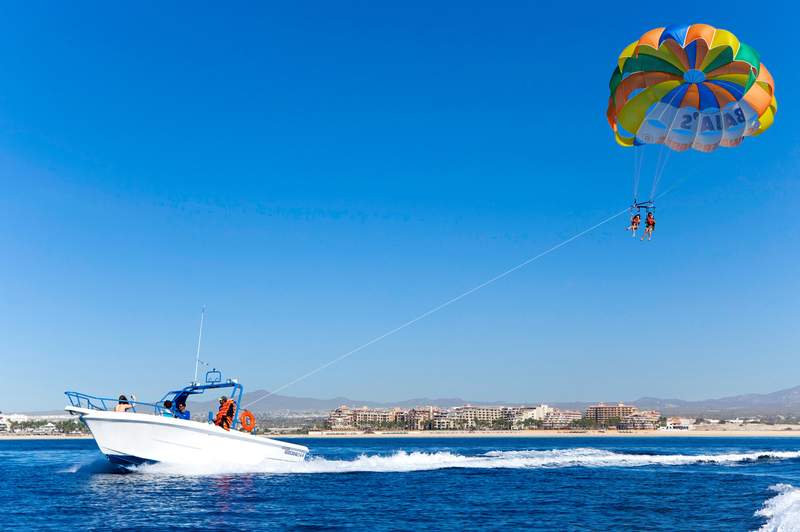 Feel the Adrenaline Flying over the Cabo San Lucas Bay! On your visit to Los Cabos, Get ready for 45 minutes full of Emotion! In your arrival at the location of BAJA’S you will receive Friendly Service and an Explanation of Important Points of the Activity. . . will be transported safely in one of our Glass Bottom Boat toward Parasailing Boat located within the Cabo San Lucas Bay. . . Will board and comfortably will wait your turn in the Lounge area, our Captain is Bilingual and be Attentive to your Needs. You can take the opportunity to take some photos or videos of your Friends or Family to be a Great remember your Holidays. . . Upon your turn to Fly our Staff will provide the Life jacket and adjust properly, will receive Basic Instructions. 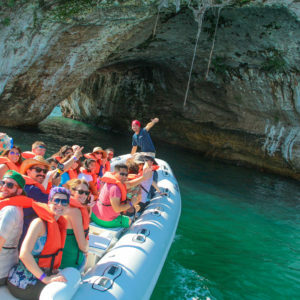 .The Boat has a platform Specially Designed for Off / Landing taking off, the Marine air comforted and see from the heights The Arch, Land’s End, Cabo San Lucas Bay, Lover’s Beach, Pelicanos Beach, Medano Beach, Hotel Zone and the imposing Cruise visiting us that day!. Flight duration is 8 to 10 minutes approximately, can take photos or videos, the most iconic is with The Arch as Background, try, is Unique and Unrepeatable! The Height you will fly is 180 meters sufficient to Enjoy Parasailing Experience. In your landing chance of playing the Fresh Water with your feet and tinker few seconds, back on the boat will be transported to the Medano Beach.